"Which treatments have worked for you for (insert infection here)?" This is a question I get asked via emails so often that I felt it needed it's own page dedicated to it. If for nothing else then just the fact that it can be answered here as in depth as possible. Via email it's hard (and also physically impossible time wise) to answer as deeply as I'd like. So, for the purpose of that, I've created this page. I will discuss what successfully treated my Bartonella, Borrelia (and accompanying toxins), as well as what I tried for my left over co-infections & viral loads which did not work. So let's jump into it! Let me preface this by saying that this is such a difficult question to answer. Why? Mainly because this journey has been an unbelievably tangled web & one which I am still unraveling. 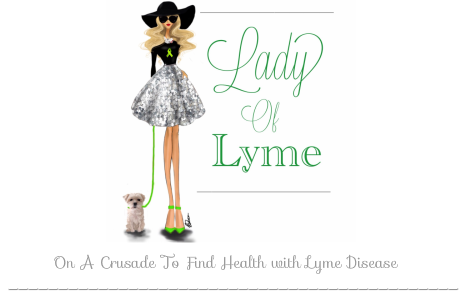 And that's because it is SO much more than "just" Lyme, or "just" the confections. It's the damage caused by the bacteria which must be repaired; my immune system, my G.I tract, my endocrine system, my brain & all its neurological damage. It's also all the bumps in the road which derailed me from my course of action; battling c diff on 3 different occasions (totaling more than a year of treatments on hold), it's finding mold in the house, and it's all the small set backs which occur from trying therapies & realizing they don't agree with my body. And lastly it's the relapse which occurred late 2014/early 2015 which shook me to my core in a new and different way & left me fighting new symptoms, new questions & a bigger uphill battle a second time around. Every bit of this factors into what "worked" and what did not "work." These are all such relative terms & all I can give you is my first person opinion. I can only tell the stories as I experienced them & tell you what I ultimately took away from them in terms of what I felt helped the most. I have formed these opinions by looking back on ALL my experiences which got me here. When I say something worked I mean long term. As I sit here in 2017 these are the things, which through all the ups & downs, held up. So without further adieu, here is what worked for me & a brief explanation of how and why. The summer of 2012 I began my first ever treatment for any of my infections. We decided to begin with the Bartonella because my Doctor firmly believes that attacking the co-infections first is important to freeing up resources to tackle the Borrelia (Lyme). This decision was also made by assessing my symptoms which seemed to be Bartonella dominant: Classic Bartonella rashes, poor appetite, migraines, & neurological symptoms. We chose to target this using the Deseret Biologicals "Bartonella Series Therapy." If you'd like to know what that is or how it works, read more HERE. The series therapy works with the immune system by activating NK cells, so it was not an instant improvement, but in the passing months I started to feel the smoke clear. For the purpose of this I will skip the summary on how that went (because you read about it in detail on my treatment blog) and just site my evidence for its efficacy. Later in 2016 (after my relapse) I had a full work up from Fry labs (you can read about that here), and Bartonella still came back negative on all tests. This included the DNA sequencing, the blood stain & the antibody testing. All in all I am confident that if it hasn't been detected thus far that the series therapy did indeed work to eradicate this infection. This treatment works the same as Bartonella series. My measure for the success of this was two fold: 1. How I felt 2. My cd57 levels. Prior to beginning this treatment my CD57 was at 14. It was very low, and I felt equally crummy to match. After two rounds of the Borrelia series I waited a while before testing again. Because my immune system and NK cells needed time to target and attack the Borrelia we waited 6+ months after finishing the series therapy to check. At this point my CD57 level went up to 45. I want to note that during this time the DesBio series therapy was the ONLY single thing I did. Other than taking vitamins, electrolytes probiotics & other such items I took absolutely NO antimicrobials what so ever, and no immune boosting supplements. Reaching 45 was due solely to this series therapy. I was told by my Doctor that this number would continue to climb, since my immune system will remember this series therapy & target the Borrelia for months/years to come. My next CD57 level check in was about a year later & I was at 75. This was due to both the series therapy effects & also an immune regulating supplement I took at during that year called Vitanax px4. After this we waited 2 years, and in 2016 retested my CD57 levels and it was 124 which is considered "normal." The 124 is even more miraculous because between the "75 in 2014" & the "124 in 2016" I had a bad relapse. We suspected it then but knew for sure later that my relapse was purely caused by Protomyxzoa & mold, coupled with a failed treatment which really hurt my body (discussed below). Even during my severe relapse my body still didn't succumb to the Borrelia & I owe it all to the series therapy. I will toot its horn forever because it really has been an absolute blessing. If you're interested you can buy the kit HERE. I wrote an entire post on this, but I dedicated about 5 months of my life to just using ACT and not only did it not work, but it was the final straw catalyst into my relapse. It hurt me a lot, and I reacted so horribly to it that it took a giant chunk of my life to recover. I spent 5 months in the treatment program & then a following 5 months recovering just enough to be able to eat 2 solid meals a day and take my own showers. The two months after stopping ACT consisted of me living on liquid nutrition with my mom washing my hair in a tub & often giving me sponge baths. Every organ hurt and I was often hooked up to IV's for nutrition and sustenance. It was an utter nightmare scenario. Almost 1 year of my life/this journey was essentially wasted because during my recovery from this relapse I was solely focused on rebuilding my body. I did no active treatment and everything was on hold. Once I got a bit of my footing back we then had to reassess everything all over again & in a way start over. I wish I had never gone near that program & it's the only treatment approach which has been a solid failure. So there you have it. Standing where I am now, based purely on therapies I used to target my infections, this is what did work (and stood the test of time) and what was a failure. Yes I tried other things along the way & yes other things have contributed to making me feel better. So many things have been part of unraveling this web & each one has been a small piece to healing. But all those things fall under a more wide umbrella of supplements & complementary therapies. And that list is much too extensive & long (and also not pertinent to the big picture). This is big picture. This is what helped my two main infections, and as I continue to tackle the Protomyxzoa & mold I will be sure to update this when something works.